Have you ever wondered how programming started? It may surprise you to learn that back in its early stages, it was primarily a female-oriented profession, the exact opposite than today. Below, we will follow the story of the most well known female programmers, which contributed to the development of programming as we know it. Did you know any of these female programmers? Augusta Ada King, Countess of Lovelace, is considered as the woman who published the first computer program. She was born in England in 1815, and she was the only legitimate child of the famous poet Lord Byron. Her mother always worried that Lovelace would follow the footsteps of her father. To prevent her from following the "poetic" life of Lord Byron, she encouraged her to study mathematics from a very young age. Perhaps she was hoping that maths is the "cure" to any "philosophical disease" Ada might have inherited from her father. She doesn't seem to like him that much. At that time, it was relatively rare for a woman to study maths and physics, but that didn't stop Lovelace. You may wonder though, how did Lovelace contribute to programming, since there were no computers in her era? Well, the world wouldn't see the first computer until many decades later, and also the first computer game. But, by that time there have been several attempts to describe a machine that could solve complex equations. 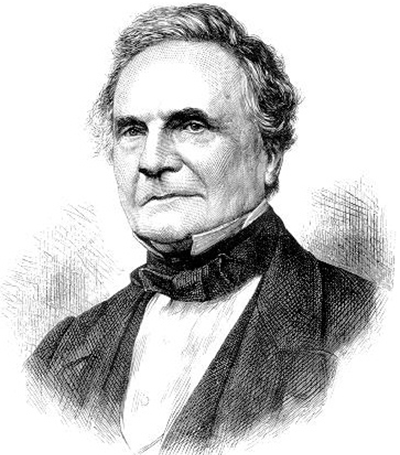 One of the visionaries of such a machine was Charles Babbage. After many failures, Babbage completed the design of a relatively complex machine, “The Analytical Engine." 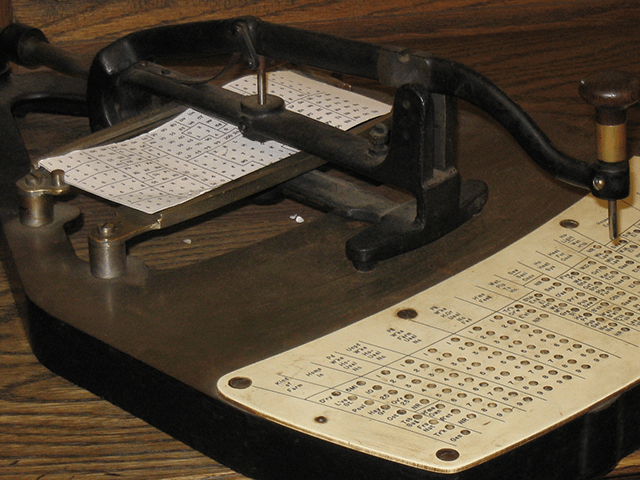 The design described a general-purpose mechanical computer, that would use programs and data via punched cards as input. This machine would have been the ancestor of the first computers. That makes Babbage a computer pioneer, and history recognizes him as "the father of computers." Unfortunately, due to hardware limitations of the given era and the extremely high cost, Babbage couldn't build the machine, and he never managed to complete his work. However, the potential of such a device intrigued Ada Lovelace, who spent a lot of time studying it. She worked on translating an Italian article that described the functions of The Analytical Engine, written by mathematician Luigi Menabrea. In her notes to the translated article, Lovelace outlines a step by step algorithm on how the engine could compute the numbers of the Bernoulli sequence. 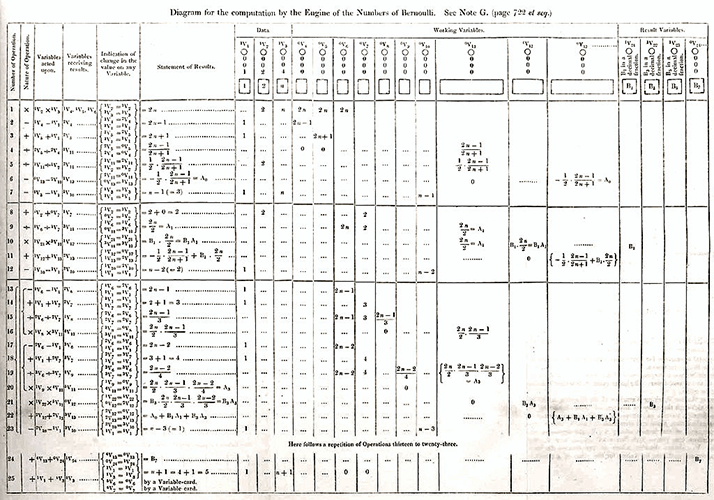 This algorithm is considered as the first computer program, and that's why Lovelace is known as the first programmer. Furthermore, in her notes, she envisions a wide variety of uses for Babbage's machine. She claimed that a complex system like that could be used for music, graphics, Snapchat, and many other sections not related to mathematics. It seems that her mother's efforts didn't pay off after all, since Ada ended up being a romantic visionary, just like her father. Although Lovelace is credited with being the first computer programmer, recent studies show that Charles Babbage himself had coded many programs for his Analytical Engine, way before her. However, this does not reduce her contribution to the programming field. 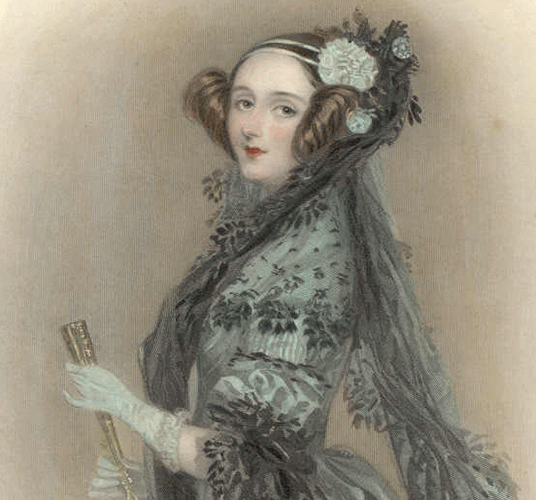 Ada Lovelace was the first that realized and described the future potential of a computer. She died at the age of 36 years old. It wasn't until recently, in 1980, that her contribution was publicly recognized. 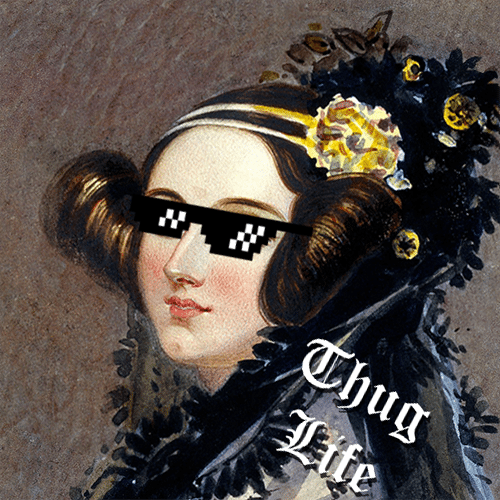 The US Department of Defense created Ada, a programming language named after Lovelace, to honor her memory. Going a little further back in time, we realize that the word "computer" was used to designate someone that "computes," or in other words, people that calculate mathematical expressions for a living. The term had been widely known since the early 17th century, long before electronic computers came to play. Computing as a profession found uses in astronomy, statistical research, and other science fields that would require complex calculations. Typically, the job involved a group of many people that worked together in an office. They would separate the main mathematical problem into multiple equations, and each one of them would work on solving their part. Therefore, the combination of all their results would solve the initial problem. Computing was an entry-level job, and the payment was low. For the majority of people that worked as computers, it was a temporary position until they could find something better. More or less like working as a dishwasher in a restaurant. Employers preferred women for the job since they were a cheaper workforce than male workers. During World War II, human computers played a major part in the outcome of the war. And since men were recruited to fight, computing became mostly a female profession. In the 1940s, a secret military program started in Philadelphia, Pennsylvania. The program included the construction of ENIAC (Electronic Numerical Integrator And Computer). 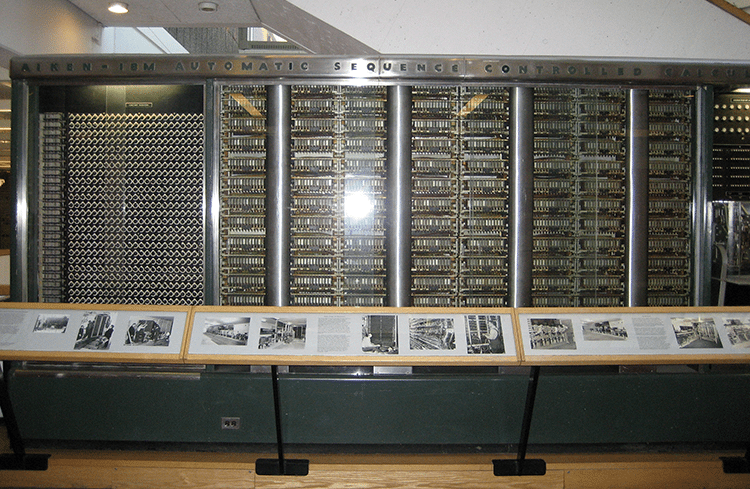 ENIAC was one of the first reprogrammable general purpose computers, designed by John Mauchly and Presper Eckert. Its purpose was to solve a broad class of numerical problems for various military operations. Until then, these calculations were done manually by human computers, and it was a very time-consuming process. After the build of ENIAC, the developers were looking for programmers - or operators as they called them - that would create programs to operate the machine. 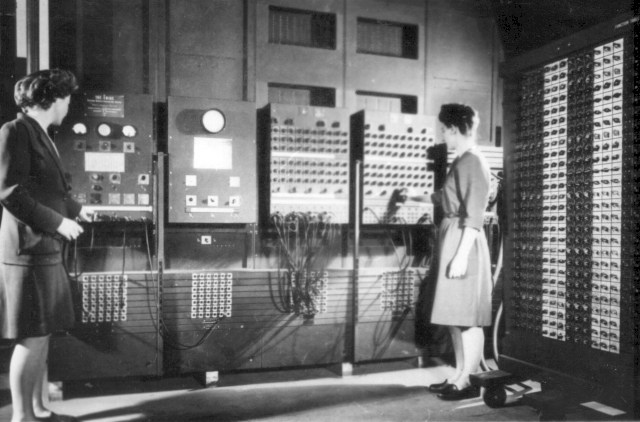 They selected six women from a human computer team that had been calculating ballistics tables with desk calculators before ENIAC. These were Kathleen McNulty, Jean Jennings Bartik, Frances Elizabeth Holberton, Marlyn Wescoff, Frances Bilas Spence, and Ruth Lichterman. 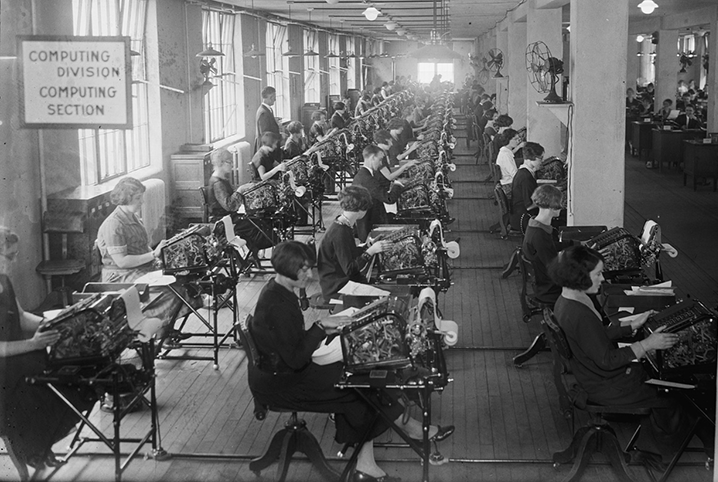 These women have been the key programmers of the machine for as long as it has been operating. 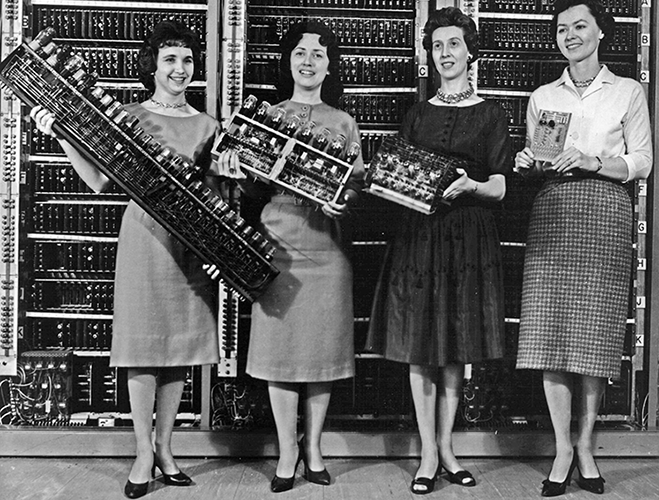 In the beginning, these six female programmers were challenged to find ways to enter the data into ENIAC. Of course, there was no manual on how to do this and no special training, since ENIAC was one of the first of its kind. To accomplish this, they studied the designs and structure of ENIAC, so that they could understand how it works and be able to operate it. Their job was similar to that of a current developer, with a fundamental difference. Instead of the programming languages that we study today, those programmers used about 6000 switches and wires to give commands to the computer. Nowadays, it's very easy to learn how to code online from a wide variety of websites and guides. We do not have to move wires and switches, the only thing we need is an internet connection. 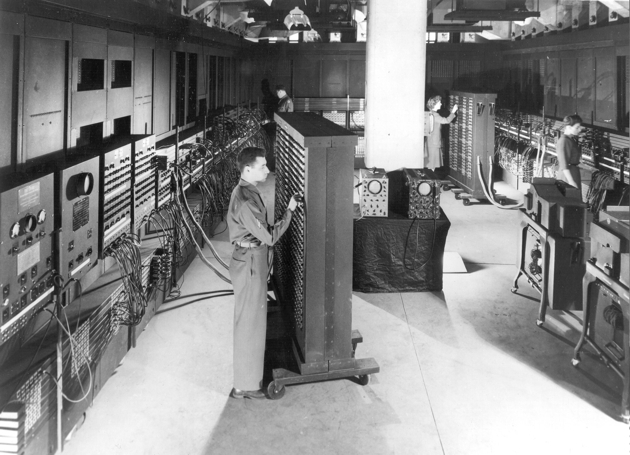 When ENIAC was announced publicly in 1946, there was no mention of its programmers anywhere. Their contribution to its successful operation was not recognized at the time. The hardware was seen as the primary innovation, while the complexity of programming ENIAC was highly undervalued. Perhaps the fact that the programmers were all women played a significant role in that. 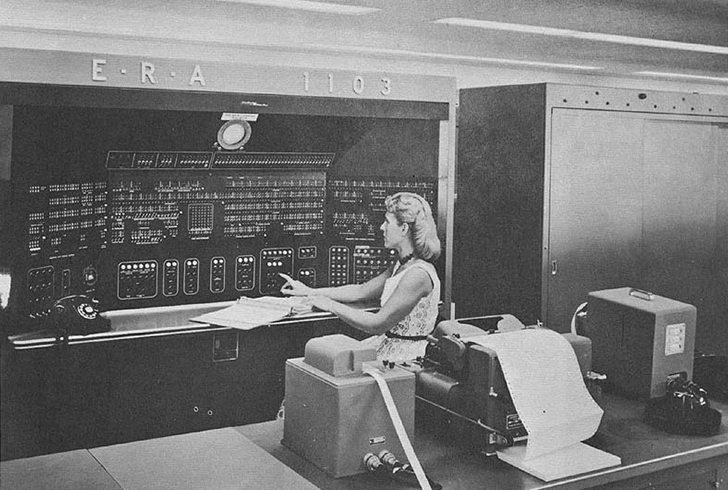 People saw them on pictures of ENIAC, but everybody thought they were models, posing in front of the computer. Most of these women didn't receive any recognition in their lifetimes. Some of them didn't even get an invitation to the 50th-anniversary event of the invention of ENIAC. Today, these six women are known as the first programmers - not just the first female programmers - and have been honored with several awards for their contribution to software development. Grace Murray Brewster Hopper is perhaps one of the most famous female programmers in the IT industry, and probably one of the most influential people in the history of technology. She was born in New York in 1906 and studied mathematics and physics. At the age of 37, she volunteered in a Navy research department, due to war. At that time, Harvard developed yet another general purpose computer. The computer was called Mark I and the military used it towards the end of the war. 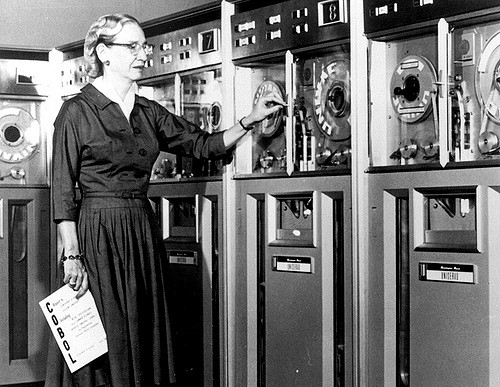 Mark I's first three developers were Richard Milton Bloch, Robert Campbell, and Grace Hopper. After the war, Hopper rejected a job as a professor and preferred to remain in the Navy. Also, she continued her research at Harvard and participated in the next editions of Mark I. One day, while working with Mark II, a technical issue arose. It seems that an insect got stuck inside the machine and Mark II was malfunctioning. 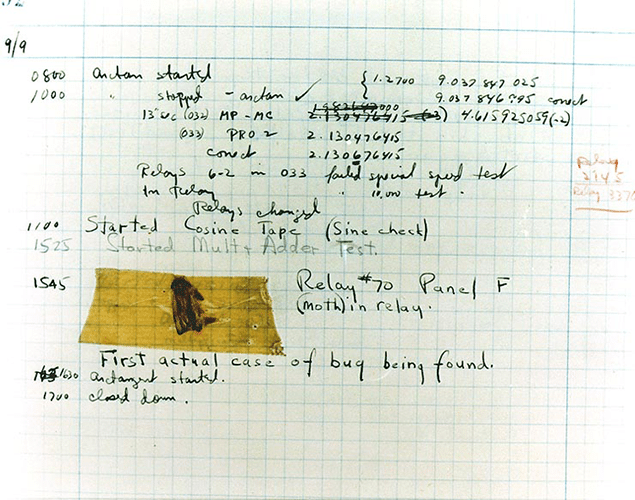 After the removal of the bug, Hopper joked about "debugging" the machine. Since then, when something went wrong with the computer, they would say that it probably had a "bug." This term is widely used today to describe any flaw in a program. Of course, debugging at that time included dragging yourself into the machine to see what is wrong, unlike today that we sit on our chair and just pull our hair out. In 1949, Hopper worked in Eckert and Mauchly's company, the developers of ENIAC. 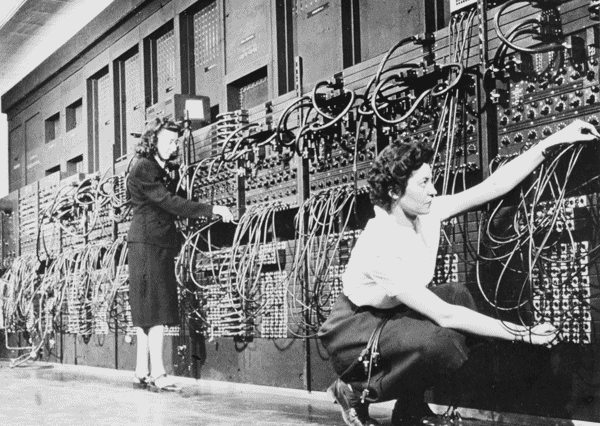 Some of the six ENIAC's female programmers were also part of the same company. At that time, computers were used exclusively in universities and only for scientific purposes, until UNIVAC came along, the first industrial computer. Hopper was working as the chief engineer of UNIVAC, and she was constantly trying to find ways to speed up the process of programming. Also, she believed that programs should be written in plain English, rather than machine code. For this reason, in 1952, she developed the first compiler for a computer called A-0. 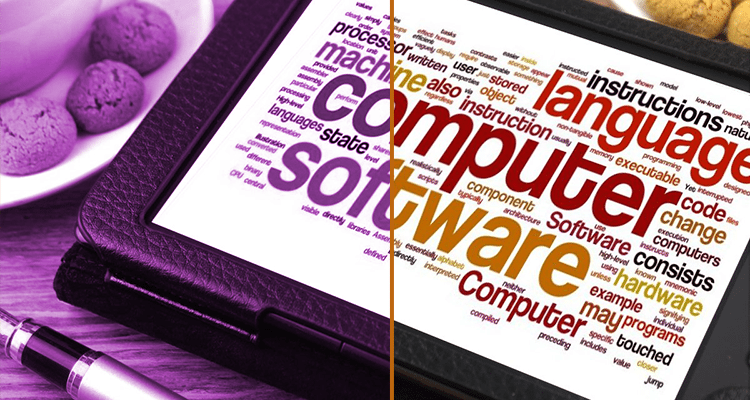 A compiler is a program that transforms the code written in a programming language into machine language. The compiler was a great achievement for that time, and it didn't take long for the first programming languages to show up. Those languages were MATH-MATIC and FLOW-MATIC, and Hopper was in charge of their development. COBOL, which is used even today in many companies, including most bank software, is based on FLOW-MATIC. 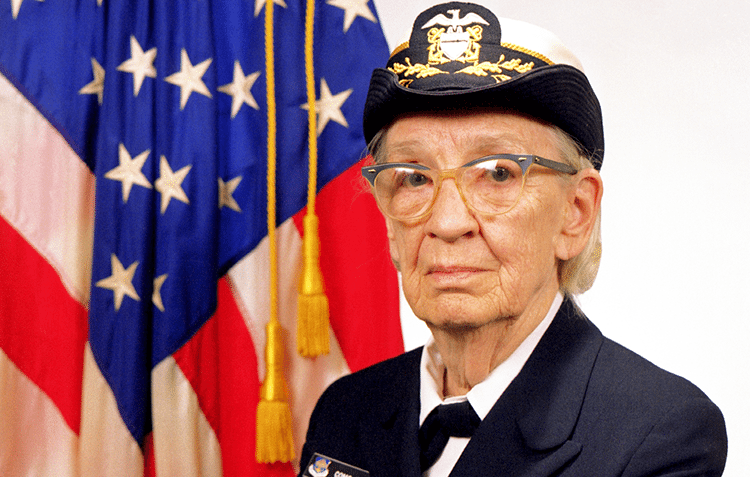 As for Grace Hopper, she retired from the Navy at the age of 60 with the rank of commander, following Navy attrition regulations. However, she was recalled to active duty for a brief period. Those six months ended up to be an indefinite assignment. Although she retired again five years later, she was asked once more to return to active duty, where she served up to the age of 80. Hopper was the oldest active duty commissioned officer in the United States Navy at that time, and one of their few female admirals. Her contribution to computer science has been paramount and earned her various nicknames. Among the most known are "Software Queen" and "Mother of Cobol." At this link, you can find her interview on Letterman in 1986, six years before her death at the age of 85. It is easier to ask for forgiveness, than to ask for permission. 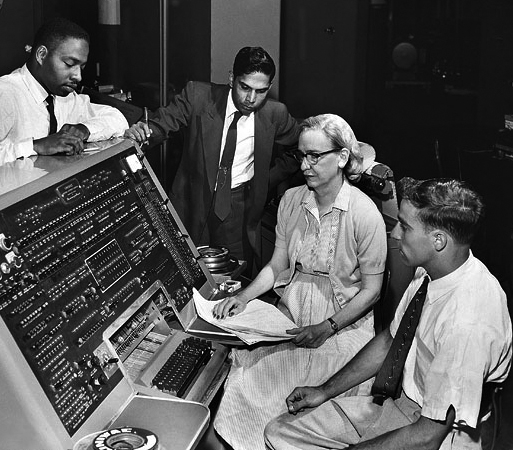 In addition to Lovelace, Hopper, and ENIAC's programmers, there are many other less known female programmers. 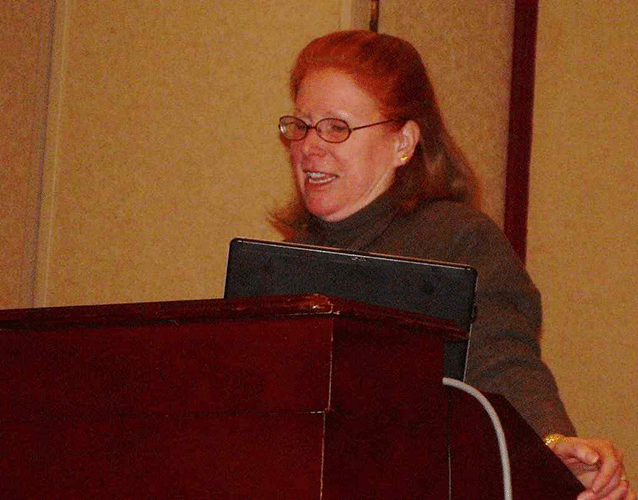 Adele Goldberg was born in 1945, and she was in charge of the development of Smalltalk-80, an object-oriented programming language, along with Alan Kay and others. Although this language was not the first object-oriented programming language, it is nowadays considered as one of the most influential languages. Beyond Smalltalk, Kay and Goldberg were pioneers of computer graphic environment as we know it today. Also, since the early 1970s, they have envisioned a world where people in the future would use portable computers in their daily life. They designed a device like that and named it "Dynabook." 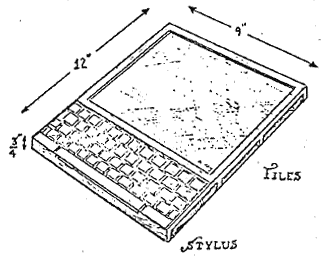 The design looks very similar to modern tablets. According to her, she had to comply after she received a direct order from her superiors. Thus, Apple used many of the Smalltalk's ideas as the basis of Macintosh's desktop environment. 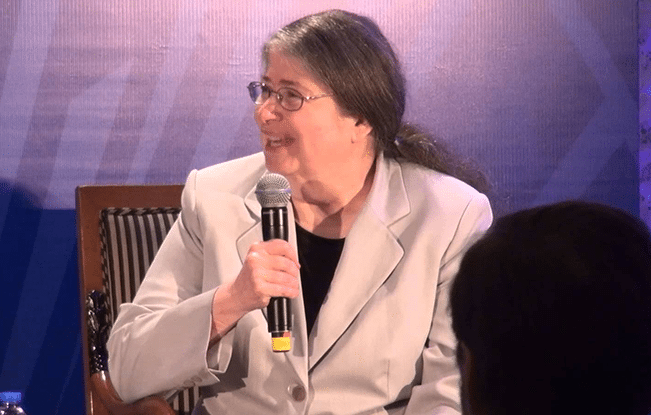 Radia Joy Perlman, born in 1951, played a crucial role in the development and evolution of the internet. Until 1985, Ethernet was a technology limited to a few hundred nodes in the same building. Perlman designed a protocol called STP (Spanning Tree Protocol) that allowed Ethernet to expand and support hundreds of thousands of nodes in a large area. In her career, she contributed to many other areas of networks. Although she hates that title, she is considered "The Mother of the Internet." Many women, programmers or not, influenced the development of computers as we know them today. However, nowadays female programmers are a small minority compared to men. As we already mentioned, after the end of World War II, programming was considered easy and relatively standardized. The notion that programming is not particularly significant continued in the years to come, and women were the majority in this profession. 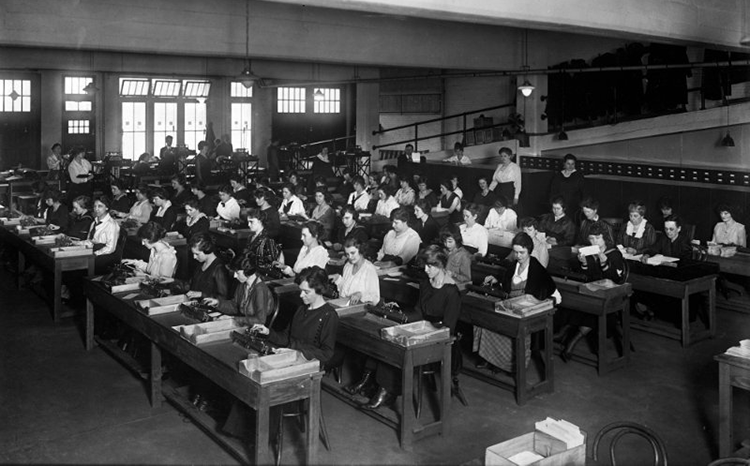 Thus, until 1960, the most common career paths of educated women were teachers, secretaries, and programmers. From there on, things started to change for female programmers. In the 1980s, their number had already declined significantly. About that time, the first personal computers began to appear on the market. Steve Jobs and Bill Gates were all over the media, and IT studies were becoming more and more popular. At about that time, the first personal computers began to appear on the market. 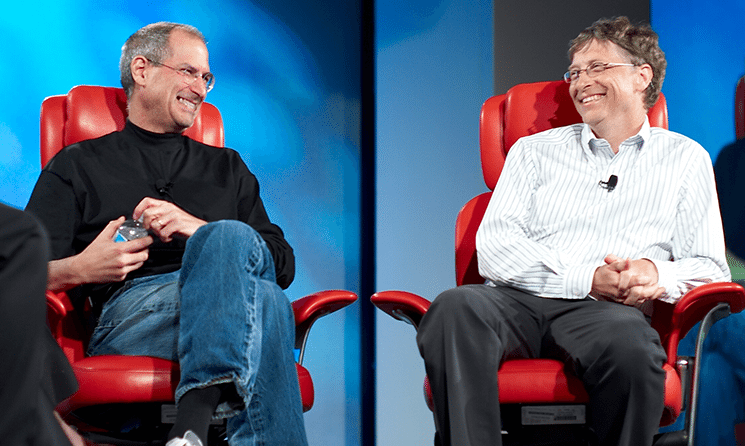 Steve Jobs and Bill Gates were all over the media, and IT studies were becoming more and more popular. As a result, there was a rapid growth in the field, and the need for more developers was more than obvious. The ads encouraged the male population to engage in programming, since "playing" with hardware was a man's privilege. Also, companies promoted computers and computer games as toys for teenage boys. This increased the interest of the male population, and at the same time prevented women to get involved. People got the impression that a personal computer is just a game for boys. The percentage of women involved in programming began to plummet, and the number of female programmers decreased. Sooner or later, when somebody mentioned programming, everyone would think of a teenager with glasses in front of a computer. 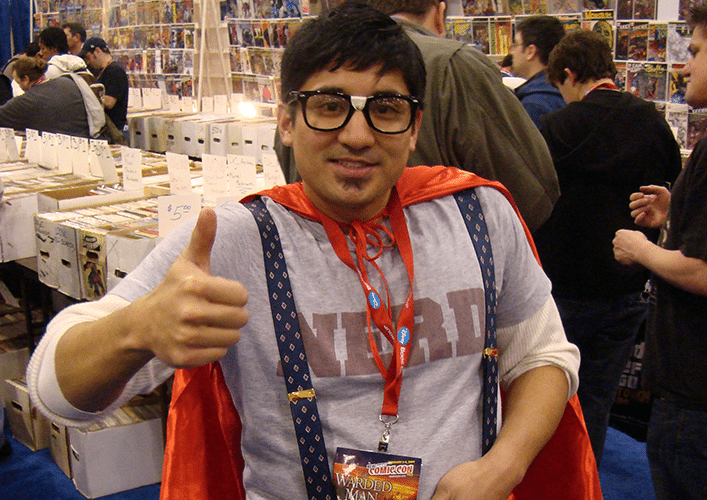 We are all familiar with the stereotype of a "computer geek." Just like that, female programmers now account for about 12% of total software developers. People tend to think that women are bad at programming and that's how it always been. However, there are efforts around the world to attract the female population to technology studies and empower women to learn to code. Why? Well, several studies have shown that groups equally represented by both sexes tend to be more efficient in their work, and programming is no exception. Who do you consider as the first computer programmer? Have you heard the story of any of the female programmers described above? There is no doubt that programming is completely different today than it was a century ago. We would like to hear your thoughts, so don't forget to leave a comment.